You all may have seen me over the past few weeks on Instagram live applying my foundation and powder using the Blend Smart rotating makeup brush. Its battery operated ( battery comes with ), lightweight, and the brush pops out. 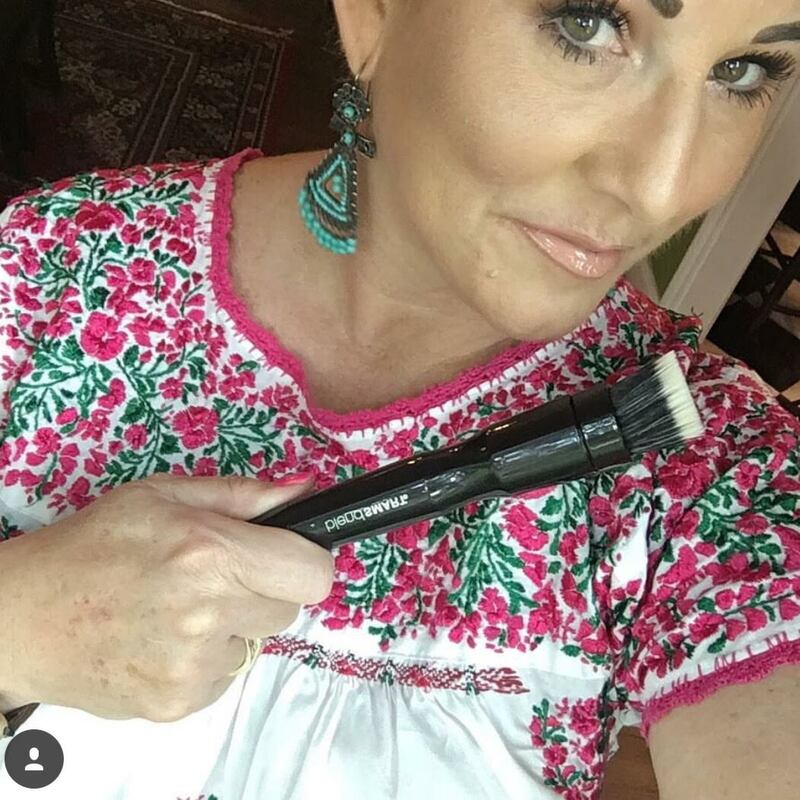 Why does the brush pop out, because HELLLLLLLLLLLLLLO you can change out brushes for different applications ( foundation, powder, defining/contour). I've used the Blend Smart system with the foundation brush with medium coverage foundation and full coverage foundation (foundations used with Blend Smart: It Cosmetics CC+ cream, Estee Lauder Double Wear maximum coverage, and Milani Conceal and Perfect 2-in-1 Foundation ). I had fabulous result with all foundations using the Blend Smart system with the foundation brush attachment. 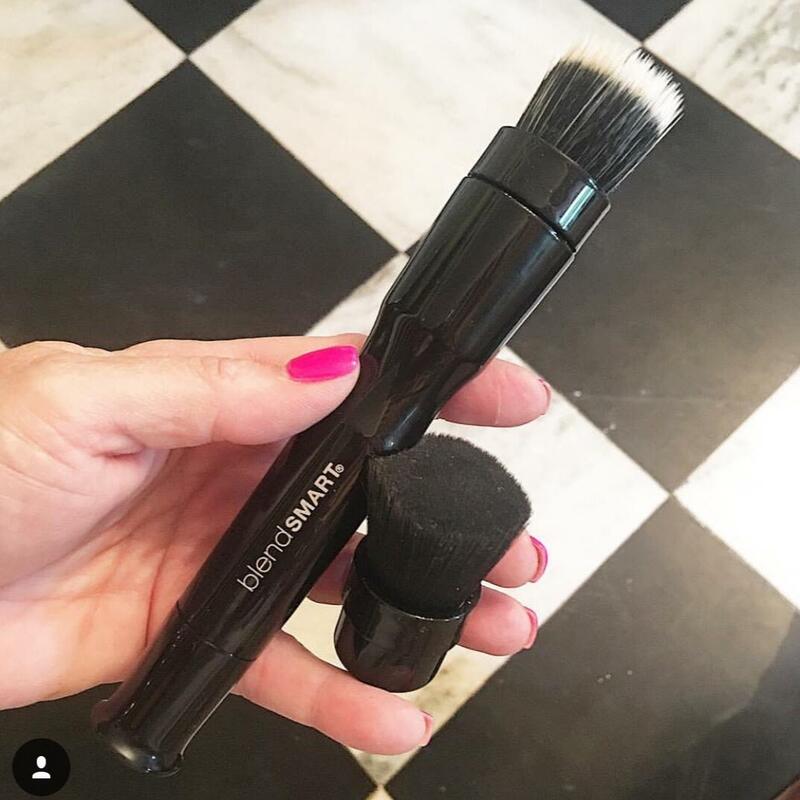 I also apply setting powder over my foundation using the Blend Smart powder brush and again had great results. I've tried loose (Besame loose powder) and press powders (Rimmel Stay Matte Powder and Charlotte Tilbury Flawless Finish Skin Perfecting Micro-Powder) and all had great results. When I say I had great results, I had several ladies (strangers) stop me in public on the days I used the Blend Smart brush and ask what foundation I was using. To which I told them the foundation followed by "its not just the foundation, its the foundation applied with the Blend Smart Brush." Let me finish by saying I was VERY skeptical of the spinning brush idea and will it really make a difference, I didn't think it would. I WAS WRONG. This is a lightweight motorized spinning brush, it takes a few times to get into the groove of it. You'll absolutely be able to use it and get great results the first time, my point is its a new method of application and with that comes a change of mind set. I am so glad I gave it go and stuck with it. It creates a beautiful finish, feels SO NICE and doesn't give you cake face. Now the BONUS of this post, my Blend Smart was gifted to me by Blend Smart and they in returned asked for nothing. I was not asked to share on Instagram or my Blog, they asked for nothing. Had I not liked it I wouldn't have shared here. With that being said I meet with the creators of Blend Smart and they gave me a NICE COUPON CODE to share with you all. The coupon code is for you all it does NOTHING for me, I receive no payment or percentage by you all using the coupon code nor did Blend Smart pay me.